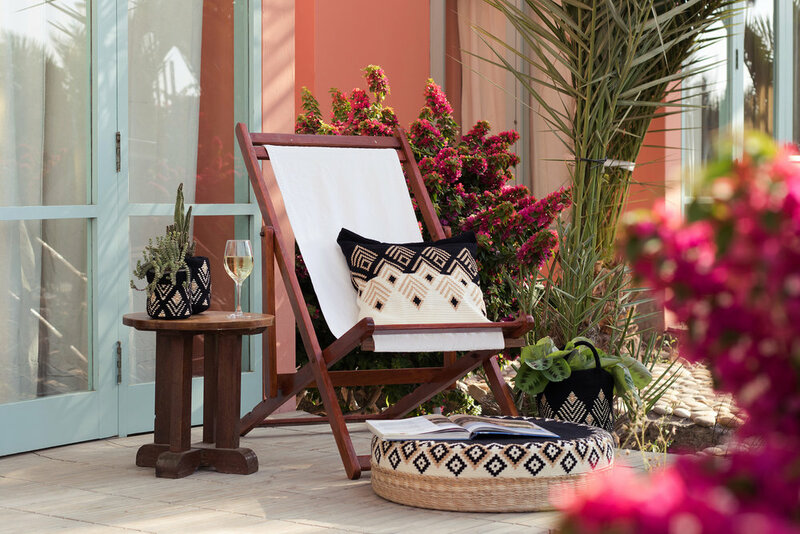 DAR TEXTILES are entirely hand woven and assembled through traditional and innovative crochet techniques from the Andes. We co-create social innovation to make products that create economic empowerment for indigenous women in Perú. 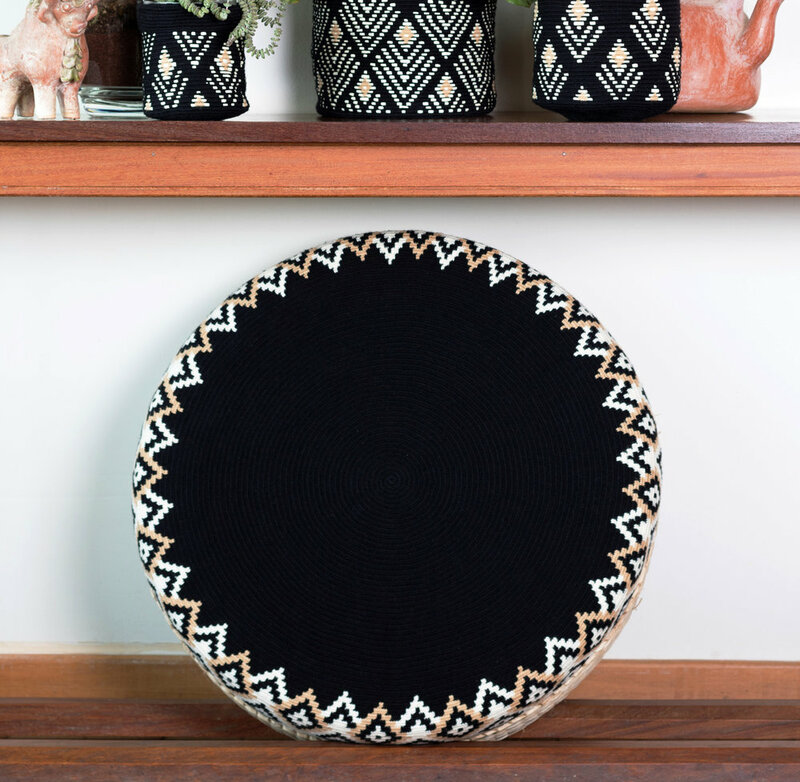 Thousands of uniform stitches make up this structured, three-dimensional pouf. The textile is made by hand in the unique style of Northern Peruvian crochet, assembled with a durable grass base made of Junco desert material. Every little detail is done by hand, down to the assembly of the zipper with which you can separate cover from base to wash. Available in 3 shapes - oval, triangular and round with firm interior foam. Staying true to our commitment to create sustainable products, our Plant Baskets are designed to fit standard recycling containers. 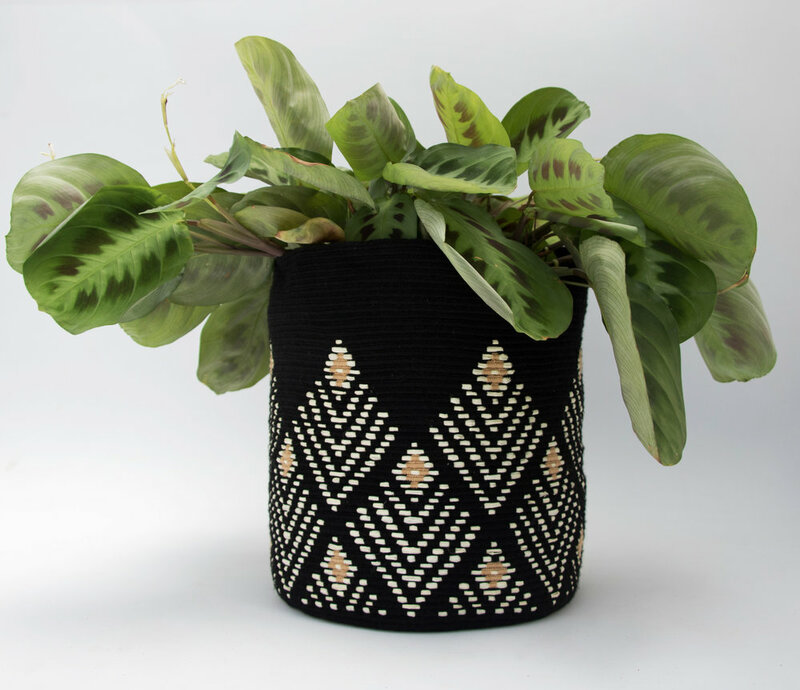 The basket features straps that are cleverly handwoven into the body in a singular process, to double as storage in the home. Available in 3 shapes - oval, triangular and round with firm interior foam. Thousands of uniform crochet stitches make up this ultra-fine crochet cushion cover. 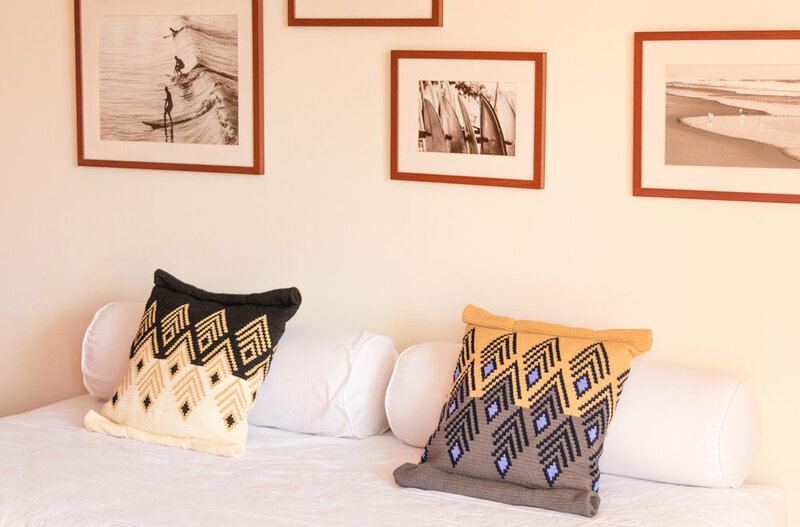 Entirely handmade using traditional techniques, this soft cushion cover is sealed with an invisible zipper.